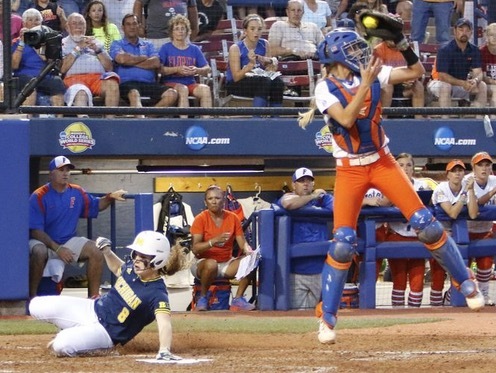 Florida’s victory over Michigan in the 1st game of the Women’s College World Series finals on ESPN2 averaged 1.542 million viewers and a 0.4 adults 18-49 rating to lead the cable sports nets on Monday. ESPN’s Pardon the Interruption averaged 1.034 million viewers and a 0.4 adults 18-49 rating. The Monday night baseball game between the Milwaukee Brewers and St. Louis Cardinals averaged 859,000 viewers and a 0.3 adults 18-49 rating.